Alex Iwobi is set to miss a month of action following the hip injury he sustained during last weekend’s defeat to Liverpool. The winger limped off and has been ruled out of action until early September (via The Mirror). Arsenal have only played one Premier League match this season and already the injury crisis is getting out of hand. We broke the news yesterday that Aaron Ramsey will miss a month following the injury he sustained against Liverpool and now Alex Iwobi is set for the same outcome. The winger came off just before the hour mark and was replaced by goalscorer Alex Oxlade-Chamberlain. The Ox’s form during pre-season and his brief cameo on Sunday will soften the blow of Iwobi’s injury but it is still far from ideal. The news which has emerged today certainly goes against that. 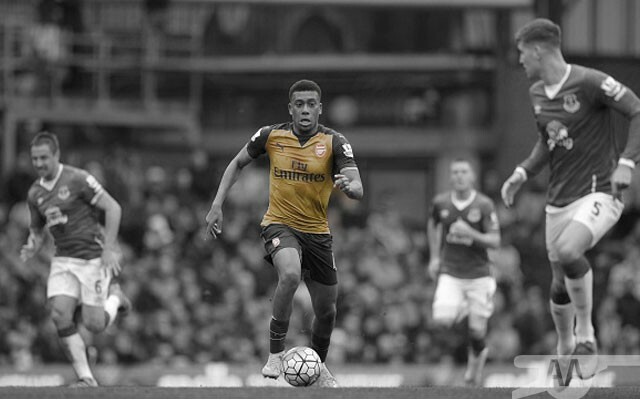 Fortunately it comes to a position Arsenal have many options in but Iwobi is an unwelcome addition to the injury list. Aaron Ramsey, Per Mertesacker, and Gabriel Paulista are also out while Laurent Koscielny, Olivier Giroud, and Mesut Ozil are expected to make their long awaited returns to action against Leicester this weekend.